If you are considering an automatic gate system for your home or business	Hansen Bros. Fence is the company to call. We have more than six decades	of fencing experience serving Minneapolis/St. Paul, Minnesota & Western	Wisconsin. Our Minneapolis-based fence crew is highly trained and can	have your automatic gate system installed in as little time as possible. 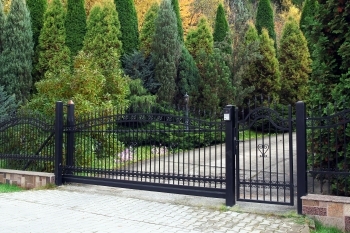 Our team can install commercial gates, industrial gates, and residential	gate systems at an affordable cost. In the event your automatic gate stops	working, we offer emergency repairs so your gate can be fixed within hours. To obtain a free estimate for our automatic gate systems,	please call our company at (612) 520-0922.